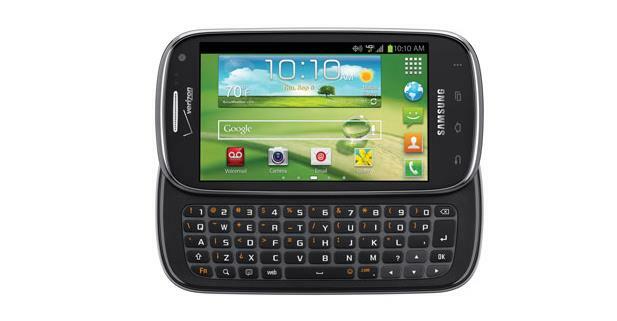 Here is a great review of Samsung Galaxy Stratosphere II a Android Smartphone with Side-Qwerty Keyboard. I would say that, generally, the main reason for purchasing the Stratosphere II is it's slide-out keyboard. However, the keyboard may be disappointing to those of us that are used to having really good keyboards on different phones. I ended up with the Stratosphere II after my Droid 3 went dead, and let me tell you, I was very displeased with the new keyboard. I loved the keyboard on the Droid 3. I used it to type almost everything because it was so much faster than using the soft keyboard. With the Stratosphere II's keyboard, I found myself often hitting the wrong button, finding periods and contractions not inserted, and just hitting the backspace button way too much. I do not use the keyboard with this phone at all anymore. Most of the other specs are average. I was impressed with the 1.2 GHz dual core processor, with 1 GB of RAM. Also, it has NFC, which surprised me. However, then you see the 233 PPI screen and 5 MP rear-facing camera. These aren't huge downfalls, but I definitely wouldn't mind having something a little better. This phone comes running Android 4.0.4, and that is probably going to stay that way. That is fine, because it works really well. In fact, the way this phone runs really saves it from the hardware downfalls. It uses the processor speed well and I have really never experienced any freezes or app crashes. It may not look the best while it is performing tasks because of the low pixel density, but it will perform without error most of the time. Not a bad phone to get if you don't want to spend any money, but don't get it for the keyboard. Thanks to Shane Ritz for this useful Review of his Smartphone.